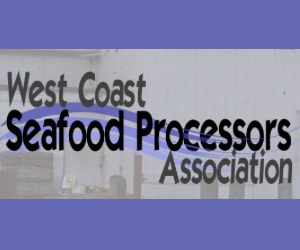 March 23, 2018 — OLYMPIA, Wash. — As the leading trade association representing Washington’s multi-million-dollar finfish aquaculture industry, WFGA is deeply disappointed by Governor Inslee’s failure to take science into consideration by signing into law HB 2957. Our organization holds the position—supported by leading fisheries scientists—that this law completely lacks any scientific basis. 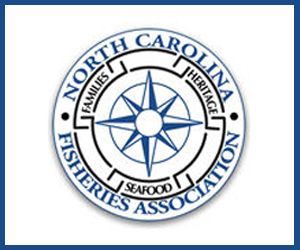 We are additionally dismayed by the fact that in early March of this year, a group of concerned scientists reached out to the state legislature, refuting the basis of HB 2957 and outlining the best peer-reviewed science available to date. 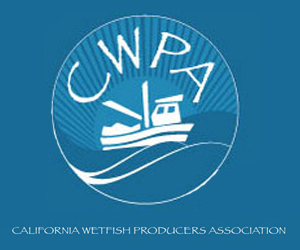 In an Open Letter to the State Legislature, nine leading fisheries scientists challenged the key assumptions in HB 2957 having to do with purported interbreeding between Atlantics and native species, colonization, disease transfer, and competition for food. In passing HB 2957 by a 31-16 vote, it was clear that the legislature chose to ignore the science in favor of other political considerations. After the vote, we reached out to Governor Inslee, urging him to veto HB 2957. At the same time, the signatories to the Open Letter to the legislature requested a meeting with the Governor. While the Governor was not available to meet, a small group of scientists met with the Governor’s staff to present the science and request that the Governor veto the most troublesome sections of HB 2957 or postpone implementation until the study in Section I was completed. By the actions taken today by Governor Inslee, it is clear that science has taken a back seat to politics in our state’s natural resources policymaking. 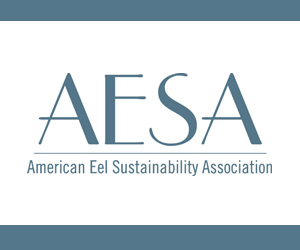 Our association includes many Washington subsidiaries of international companies, representing all sectors of the seafood value chain, from egg producers to feed suppliers, equipment manufacturers, vaccine companies, technology companies, and producers of freshwater species such as trout and steelhead. We are concerned that this ill-conceived and fundamentally flawed legislation may be sending the wrong message to companies seeking to do business in Washington. November 23, 2016 — Year after year, volunteers return to tributaries of the Klamath River, just like the fish they’re trying to help do the same thing. Jimmy Peterson, a fisheries project coordinator for the Mid-Klamath Watershed Council, places rocks and stones to make fish passages in Fort Goff Creek, 60 miles up from the river’s mouth on California’s North Coast. Scientists estimate that a century ago, hundreds of thousands of coho may have run up the Klamath’s streams and tributaries. Now it’s a few thousand. Federal and private grants fund the council’s work, helping coho access “extremely awesome” habitat because coho are threatened with extinction. Dams aren’t the only reason salmon, trout and other fish need help on the Klamath. But they are a big one. The promise of dam removal is free passage for fish up to cooler spots and native headwaters. And the Klamath River, near California’s northern border, may become the next big western river to see that happen. Federal energy regulators are considering a plan that would open hundreds of miles of the Klamath to the potential of the largest river restoration in U.S. history. The brook trout (Salvelinus fontinalis) is a small, brilliantly colored freshwater fish native to clear, cold streams and rivers in the headwaters of the Bay watershed. It’s also the state fish of New York, Pennsylvania, Virginia and West Virginia. Brook trout are recognized by their dark green back covered with lighter, worm-shaped markings. These markings, resembling the pattern created when the sun shines through rippled water, help to camouflage brook trout from predators such as larger fish and herons and even fly fishers. Bluish sides are sprinkled with yellow spots and red spots surrounded by blue halos. The brook trout’s fins are starkly edged in white, which again is unique among other common trout. These fish thrive in clear, silt-free, well-shaded freshwater streams with numerous pools and a substrate made of mixed gravel, cobble and sand. Because brook trout are not tolerant of water temperatures above 75 degrees Fahrenheit, they are rarely found in developed areas. Brook trout are not picky eaters and eat a wide variety of food. Opportunistic feeders, they will eat whatever they can find, including: aquatic insects, like mayflies, caddisflies and stoneflies; land insects that fall into the water, like ants and beetles; small crayfish; and even small fish and minnows, but only when they are easy to catch. October 11, 2016 — Just as they do every fall, Massachusetts Fisheries and Wildlife workers are stocking dozens of rivers and ponds with rainbow trout, raised in hatcheries, for anglers to catch. August 18, 2016 — Since the work of Charles Darwin, it has been more or less accepted that people, horses, porpoises, and bats share a common ancestor — one that’s arms and digits developed over many, many years to suit its needs. But only recent research has revealed that the human hand is actually extremely similar to the fin of a fish. Although you wouldn’t know it comparing your hand side-by-side with a trout (and might only guess it watching Michael Phelps swim), human fingers and fish fins “follow some of the same rules,” The New York Times reports. In hands, we have a kind of tissue called “endochondral bone”; fish, however, have only small endochondral bones at the tip of their fin, the rest of the fin being made of rays of dermal bone. But by toggling with two genes related to limbs, scientists realized that the same cells in fish and in tetrapods either ask the body to develop dermal bones or endochondral bones. August 16, 2016 — The following is an excerpt from a letter-to-the editor in the Mississippi Sun Herald. Lately, I’ve read several opinion articles about the menhaden fishery and problems with Omega Protein. I’m a lifelong resident of Pascagoula and a sport fisherman. I have no connections or interests in Omega Protein, but most of my spare time is spent fishing for trout and redfish, and I typically fish the same area (Round Island) where Omega Protein fishes for menhaden. 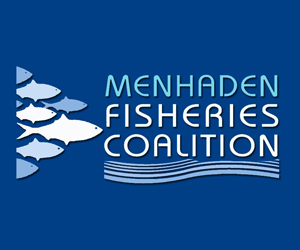 I have no issue with menhaden fishing. Their industry provides hundreds of jobs and pumps millions of dollars into our local economy. Indirectly, their product helps provide food for many as animal feed. Their bycatch is closely regulated and very small. I’ve never personally seen evidence of any bycatch dumped overboard. In his “Menhaden haven’t been ‘researched’” (July 31) letter, Steve Shepard’s statement that “menhaden are being decimated by boats during the hot summer months” doesn’t seem to be viable. 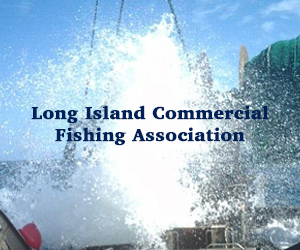 The commercial menhaden fleet has been operating in our area for 60 years now. If Omega Protein were to decimate the menhaden fishery, they would put themselves out of a job, so it’s not probable. 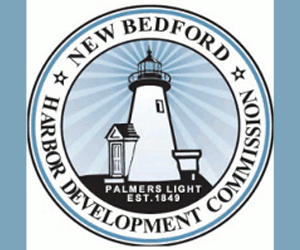 February 14, 2016 — A high-end Hancock seafood company has been shut down for repeated unsanitary conditions and food safety violations, including manufacturing in the presence of rodent excrement, according to the U.S. Department of Justice. U.S. District Judge Jon D. Levy on Friday signed a consent decree of permanent injunction against Mill Stream Corp., which does business as Sullivan Harbor Farm, and its owner, Ira Joel Frantzman. 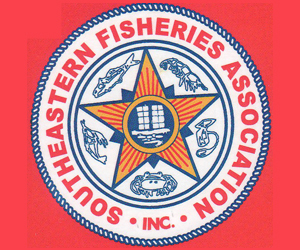 The action followed more than a decade of warnings to the company by the Food and Drug Administration, which found the company’s smoked fish products were being prepared, packed and held under unsanitary conditions so that the products may have become contaminated with filth or rendered injurious to health, says a complaint filed by the Justice Department in U.S. District Court in Maine. The company, founded in 1992, has annually made about 75,000 pounds of ready-to-eat smoked fish and fishery products, such as smoked salmon, trout and char, which are sold across the country. Customers include Legal Sea Foods in Boston and Dean & DeLuca of New York. The company’s smoked fish products have received a number of food industry awards. SEAFOODNEWS.COM [Agence Press France] — January 6, 2016 — Norway registered record fish exports in 2015 thanks to a weaker currency which compensated for a Russian food embargo, an industry body said Tuesday. Norway’s fish exports totalled 74.5 billion kroner (7.75 billion euros, $8.35 billion), more than double the level 10 years ago and a rise of eight percent from the record year of 2014, according to the Norwegian Seafood Council. “In a year with trade restrictions in several markets and an import embargo in Russia, the result was better than expected,” director Terje Martinussen said in a statement. Russia suspended food imports from most Western countries in August 2014 in retaliation for sanctions the West imposed on Moscow over its role in the Ukraine crisis. Russia had until then been one of the biggest markets for Norwegian fish exports. China, which froze diplomatic ties with Oslo after the 2010 Nobel Peace Prize was awarded to imprisoned dissident Liu Xiaobo, has also imposed drastic restrictions on Norwegian salmon imports, officially citing veterinary concerns. But the weaker Norwegian currency, partly caused by plummeting prices for oil, another main Norwegian export, helped compensate for the Chinese and Russian declines. In volume, Norway’s exports decreased by 2.2 percent to 2.6 million tonnes. Salmon, Norway’s star product, and trout, accounted for two-thirds of seafood exports, for a sum of 50 billion kroner which was also a new record. Two-thirds of exports went to the EU, where Poland, Denmark and France were the main takers.